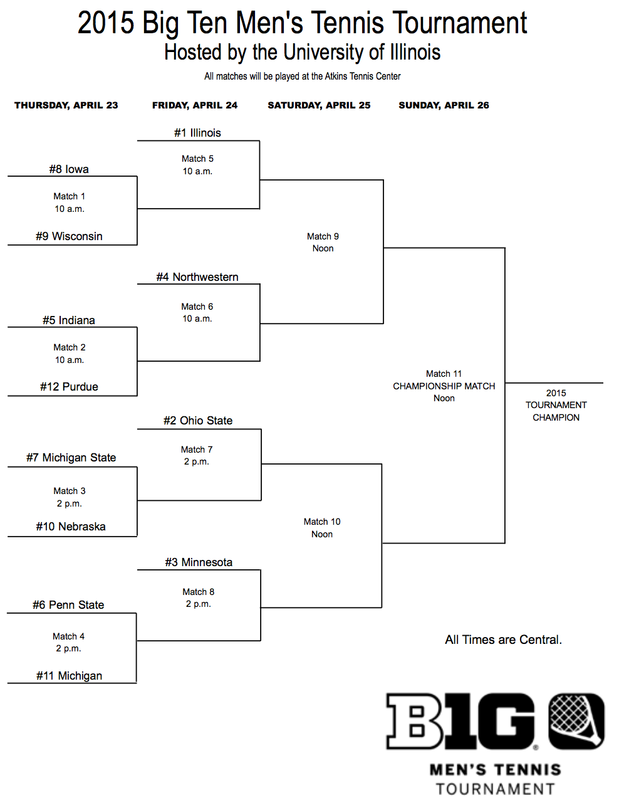 There will be 31 automatic bids handed out on the men's side for the upcoming NCAA Championships with the winners of the below conferences each getting 1 of those 31. The list of winners is at the very bottom of this page. 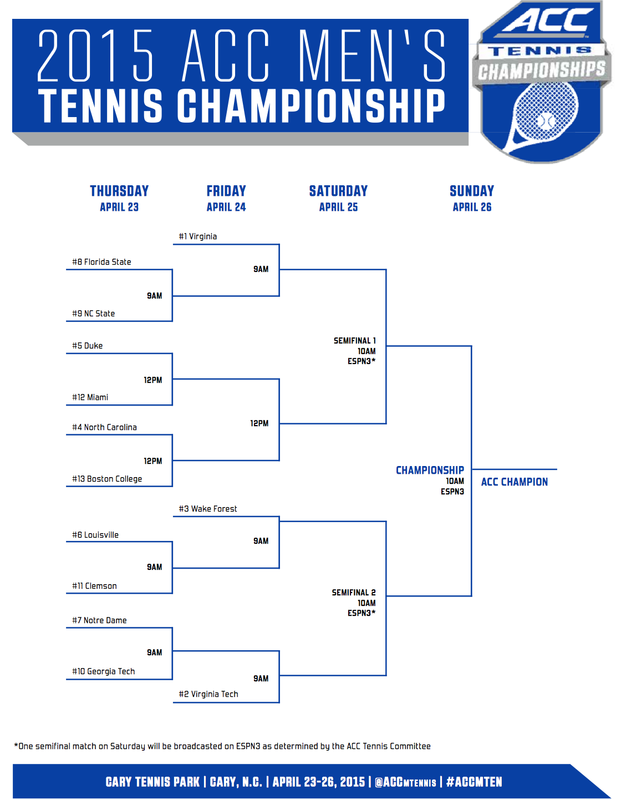 Atlantic Coast Conference (ACC) (Cary, NC) - April 22-26 - Virginia is defending champion. Participants: Virginia, Virginia Tech, Duke, North Carolina, Wake Forest, Louisville, Florida State, Notre Dame, Georgia Tech, NC State, Miami, Clemson, Boston College. 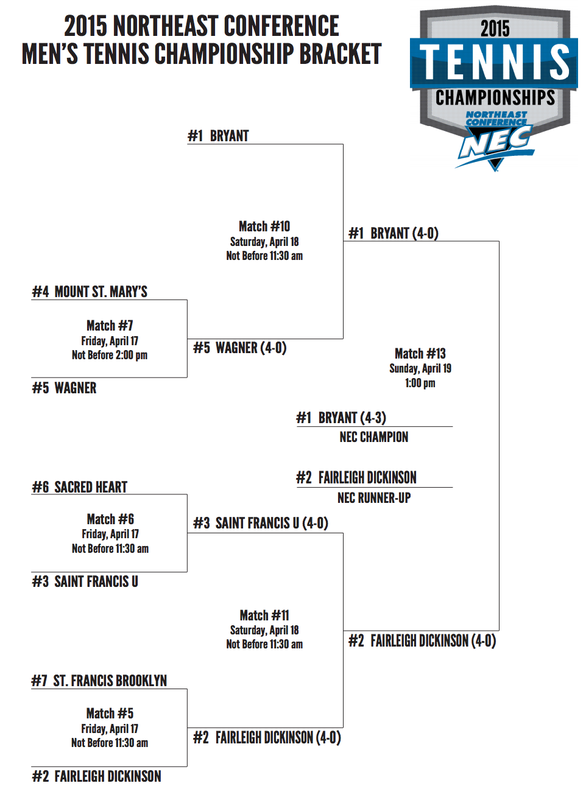 Big East Conference (Indianapolis, IN) - April 23-26 - St John's is defending champion. 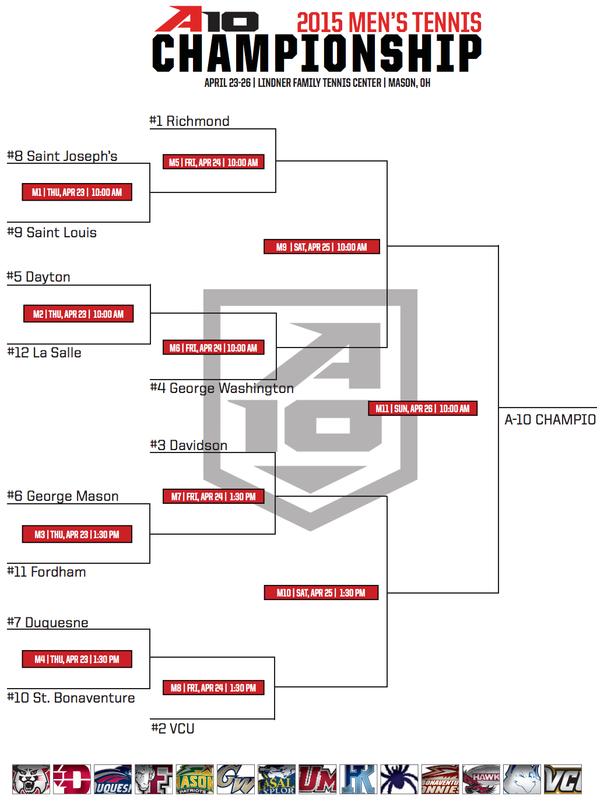 Participants: DePaul, Marquette, St. John's, Butler, Xavier, Villanova, Georgetown, Creighton. 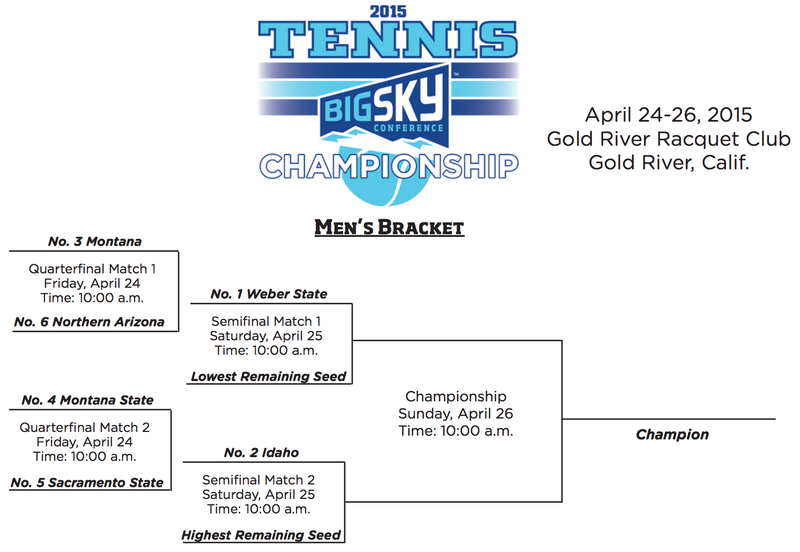 Big Sky Conference (Gold River, CA) April 24-26 - Montana is defending champion. Participants are top 6 out these 12: Weber St, Idaho, Sacramento St, Montana, Northern Arizona, Montana State, Eastern Washington, Idaho St, Northern Colorado, Portland St, North Dakota, Southern Utah. 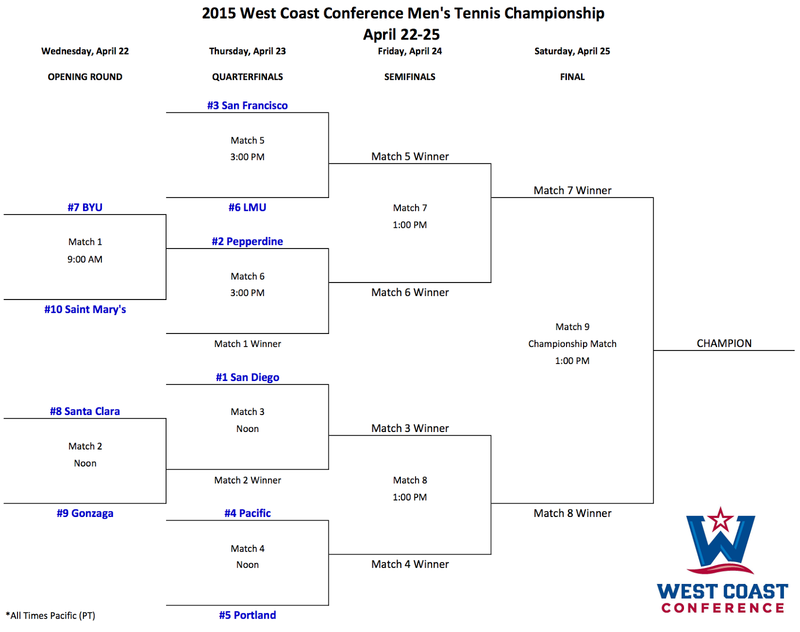 Big West Conference (Indian Wells, CA) April 23-26 - Cal Poly is defending champion. Participants: Cal Poly, UC Davis, UC Irvine, UC Santa Barbara UC Riverside, Hawaii. 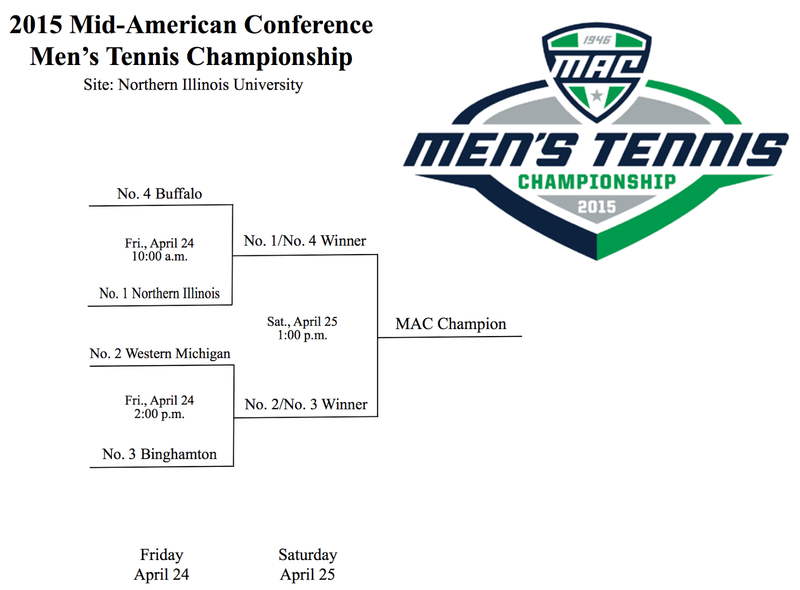 Mid-American Conference (MAC) (DeKalb, IL) April 24-25 - Ball State is defending champion. Participants are top 4 out of these 6: Northern Illinois, Western Michigan, Binghamton, Toledo, Ball St, Buffalo. 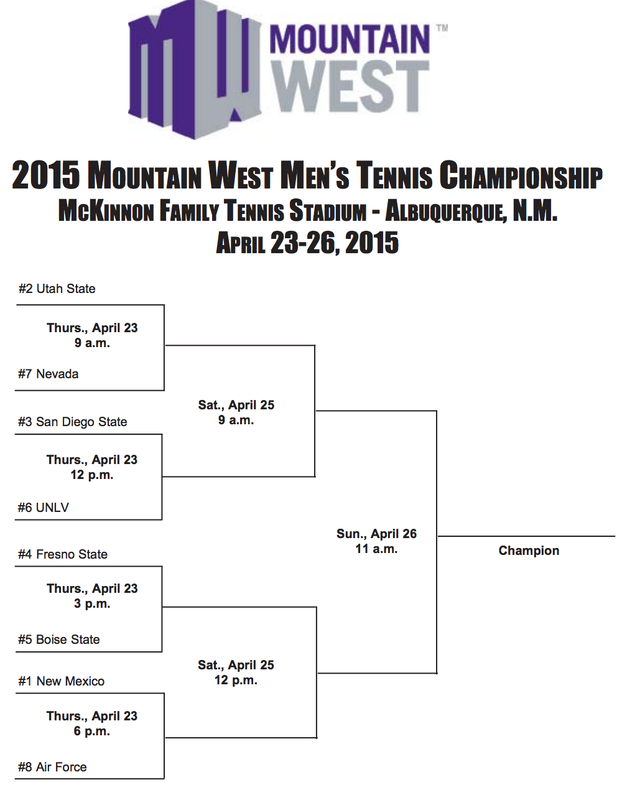 Mountain West Conference (Albuquerque, NM) April 23-26 - Boise State is defending champion. Participants include Utah St, New Mexico, San Diego St, Boise St, UNLV, Fresno St, Nevada, Air Force. 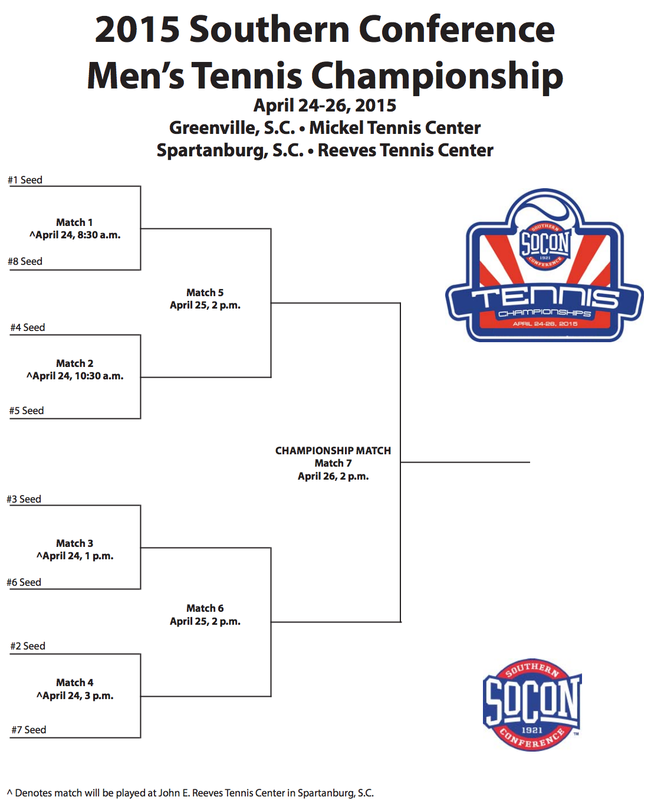 Southern (Greenville/Spartanburg, SC) April 24-26: Elon is defending champion. Participants: Chattanooga, Citadel, East Tennessee St, Furman, Mercer, UNC Greensboro, Samford, Wofford. 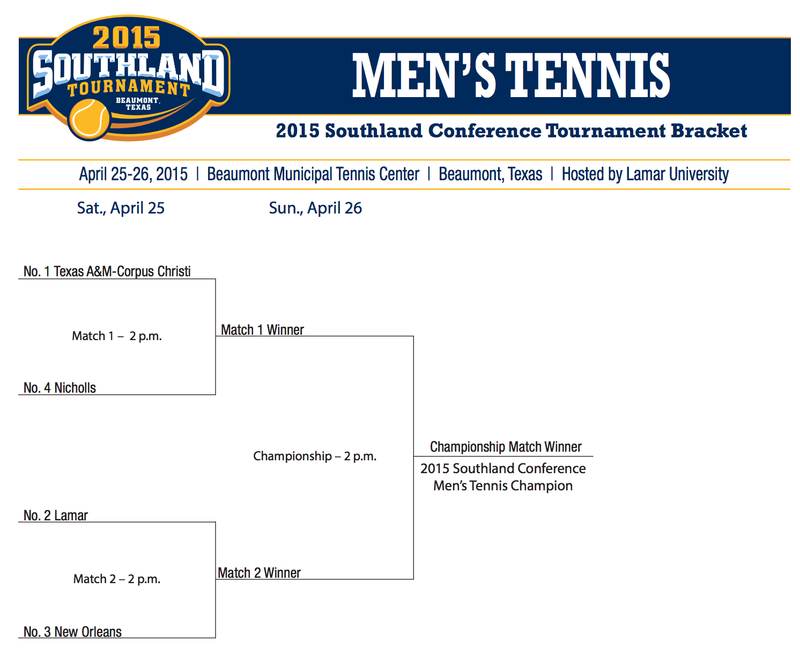 Southland Conference (Beaumont, TX) April 25-26 - Texas A&M Corpus-Christi is defending champion. Participants: Texas A&M Corpus Christi, Lamar, New Orleans, Nicholls State. 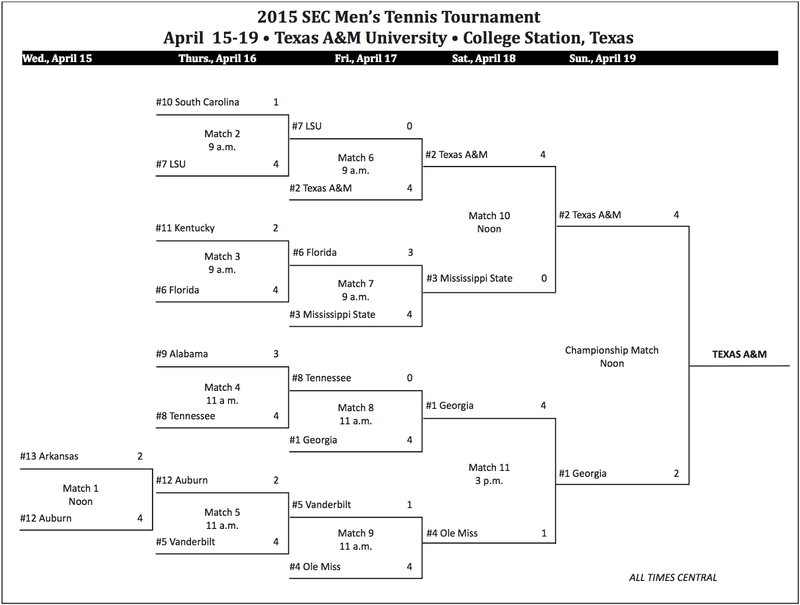 Abilene Christian & Incarnate Word have to wait another year. 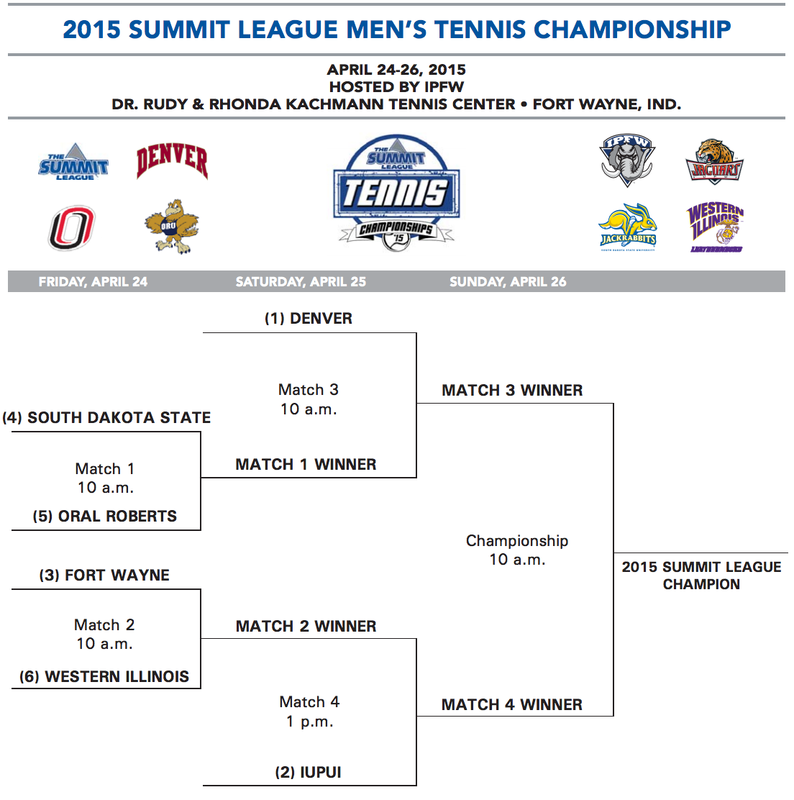 The Summit League (Fort Wayne, IN) April 24-26 - Denver is defending champion. 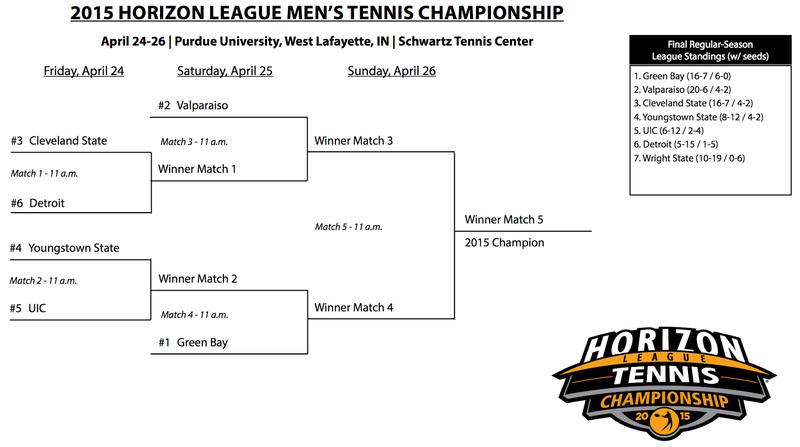 Participants: Denver, IUPUI, IPFW, Nebraska-Omaha, Oral Roberts, Western Illinois, South Dakota St.
West Coast Conference (San Diego) April 22-25 - San Diego is defending champion. Participants: San Diego, Portland, Pepperdine, Pacific, BYU, San Francisco, Loyola Marymount, St. Mary's, Gonzaga, Santa Clara. 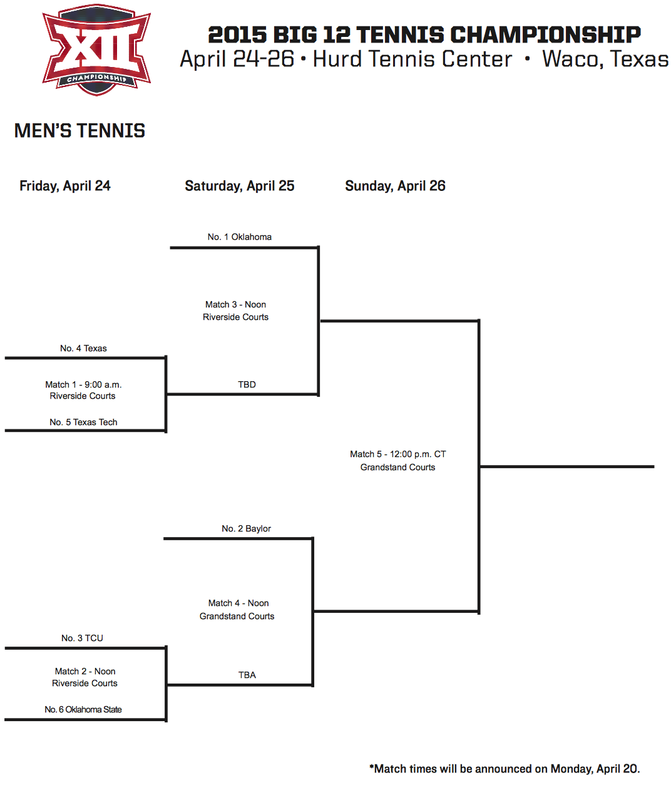 Western Athletic Conference (Kansas City, MO) April 24-26 - Idaho won the title last year but they moved to the Big Sky. Participants: New Mexico St, Texas-Pan American, Chicago St, Seattle, Missouri-Kansas City. 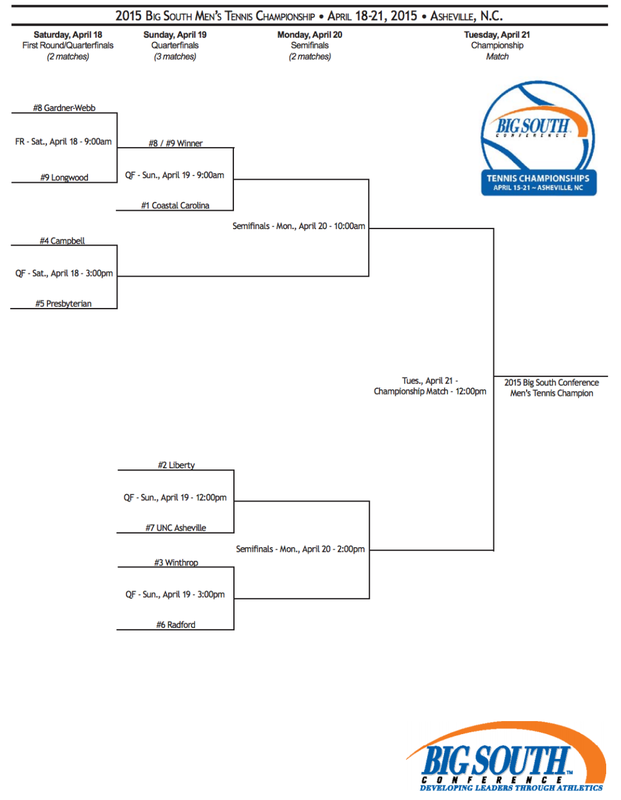 Grand Canyon ineligible due to transition from D2 to D1. 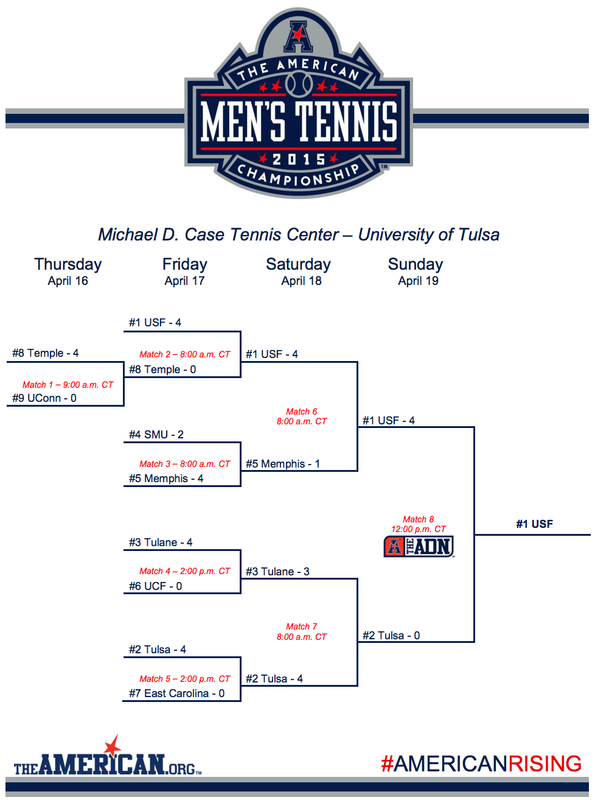 American Athletic Conference (AAC) (Tulsa, OK) April 17-19 - South Florida is the defending champ. Participants: Tulsa, South Florida, SMU, Memphis, Tulane, Central Florida, East Carolina, Temple, UConn. 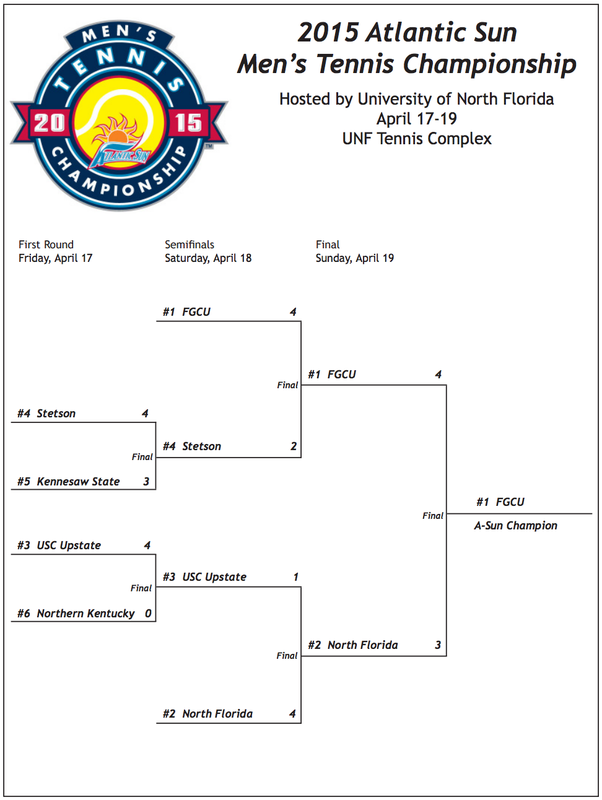 Atlantic Sun (Jacksonville, FL) April 17-19 - East Tennessee State won the title last year but they switched to the Southern Conference. Participants: North Florida, Florida Gulf Coast, Stetson, USC Upstate, Kennesaw State, Northern Kentucky. 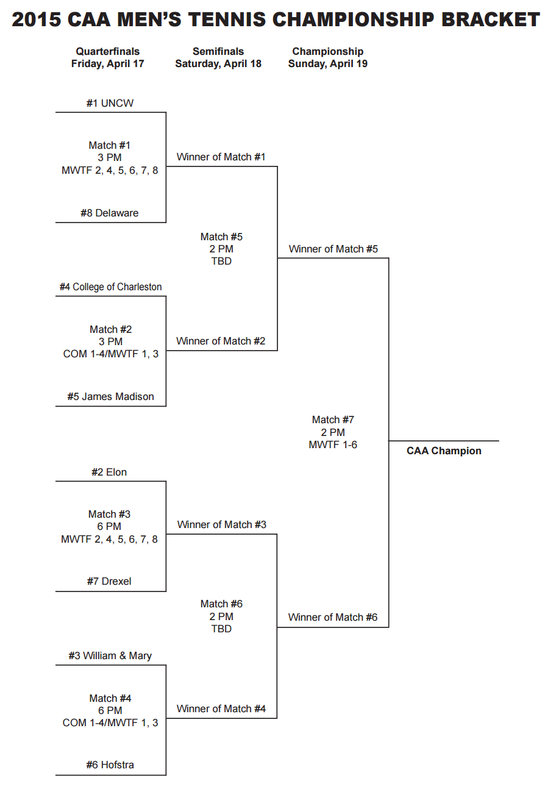 Colonial (Williamsburg, VA) April 17-19: UNC Wilmington is defending champion. Participants: Elon, William & Mary, College of Charleston, Hofstra, James Madison, Delaware, Drexel, UNC Wilmington. 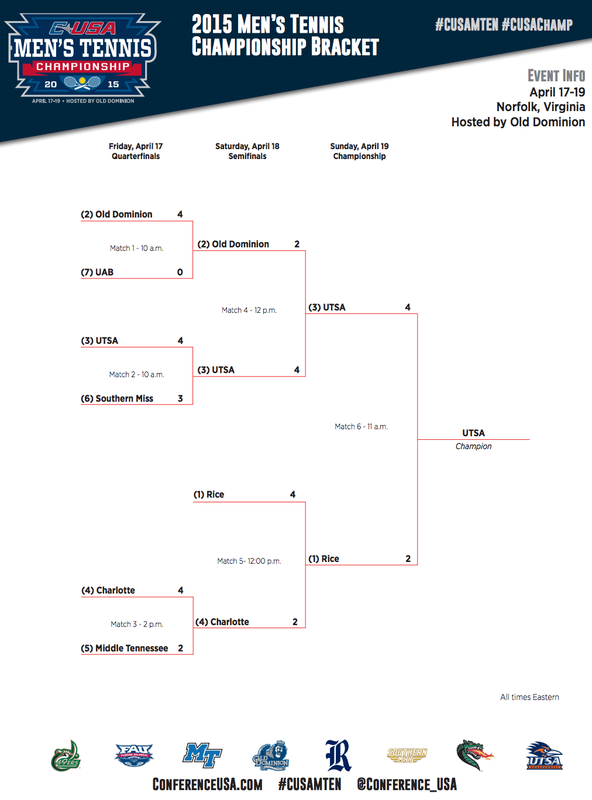 Conference USA (Norfolk, VA) April 17-19: Tulsa won the title last year but they switched to the American Athletic Conference. Memphis won the year prior and they left the next year too. Participants: Charlotte, Old Dominion, Southern Miss, Florida Atlantic, UTSA, Middle Tennessee St, Rice, UAB. 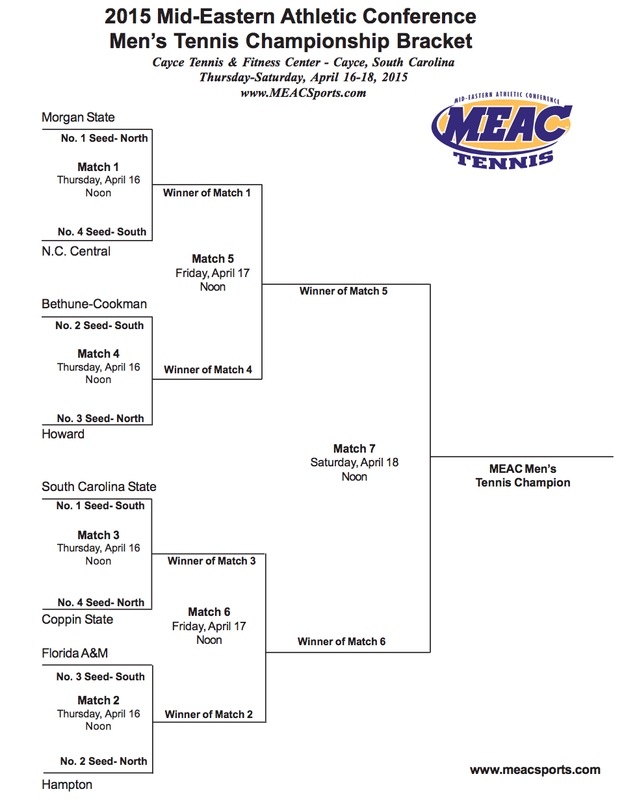 Mid Eastern Athletic Conference (MEAC) (Cayce, SC) April 16-18: South Carolina State is defending champion. Participants are top 4 in each division. 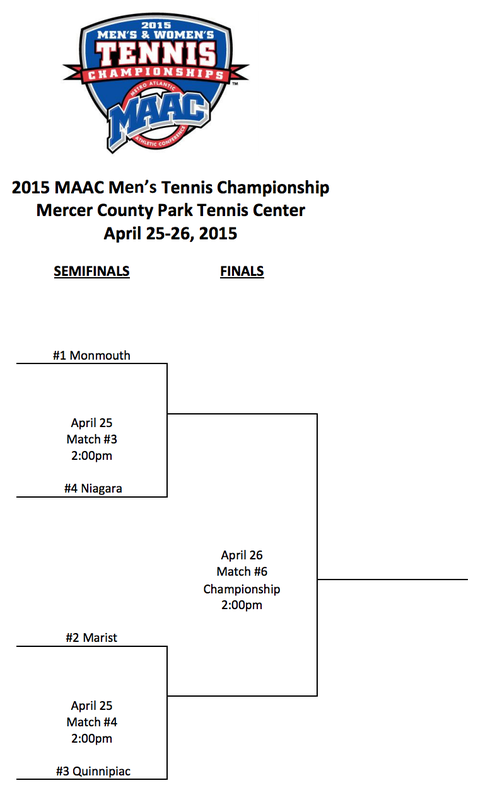 Northern Division: Coppin State, Hampton, Maryland Eastern Shore, Howard, Morgan State. Southern Division: Bethune-Cookman, South Carolina St, Norfolk St, North Carolina Central, Florida A&M, North Carolina A&T. 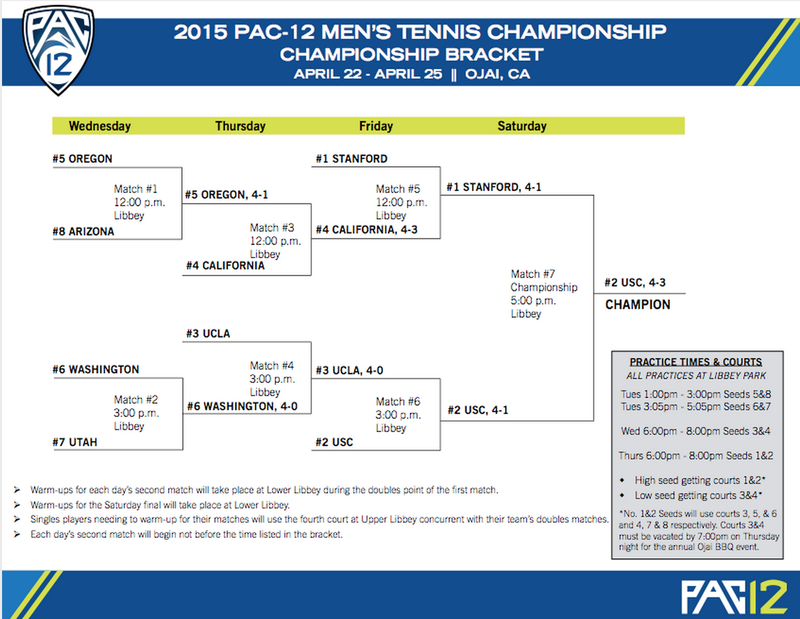 Rain pushed the matches from Thursday to Friday and then semis were started on Friday but stopped by rain again so they were pushed to Saturday. 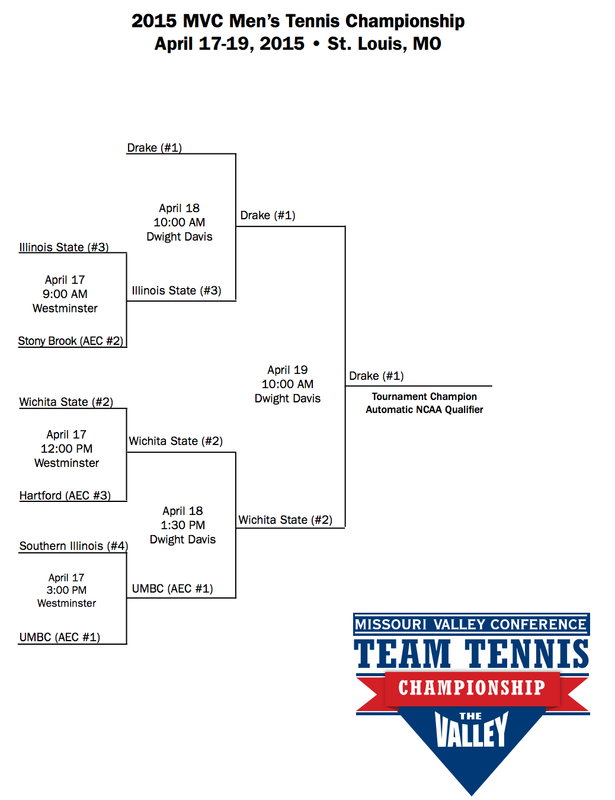 Missouri Valley Conference (St. Louis, MO) April 17-19- Drake is defending champion. Participants include top 3 of 4 MVC which includes Drake, Wichita St, Southern Illinois, and Illinois St and all 3 members of the America East which are Stony Brook, UMBC, Hartford. Northeast (West Windsor, NJ) April 17-19: Bryant is defending champion. Participants: Bryant, Fairleigh Dickinson, Mount St. Mary's, Sacred Heart, St. Francis College (Brooklyn), St. Francis U, Wagner. 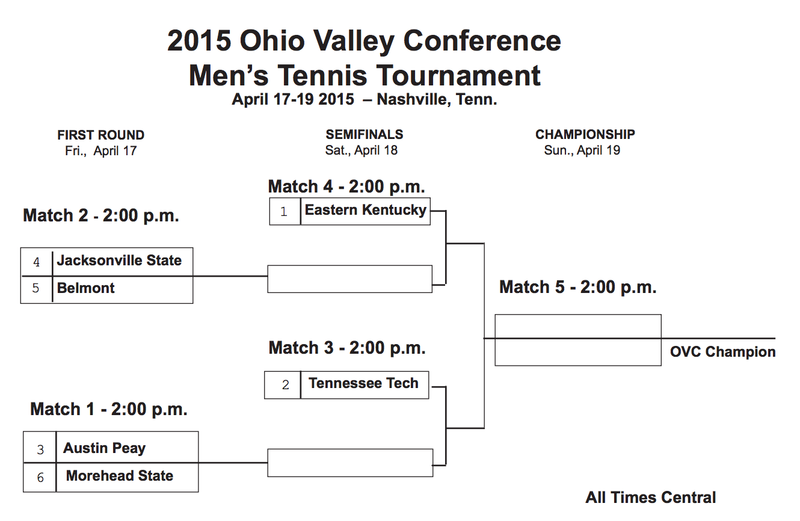 Ohio Valley (Nashville, TN) April 17-19: Jacksonville State is defending champion. Participants are the top 6 out of these 10: Austin Peay, Eastern Kentucky, Tennessee Tech, Jacksonville State, Belmont, SIUE, Morehead St, Eastern Illinois, Murray State, Tennessee State. 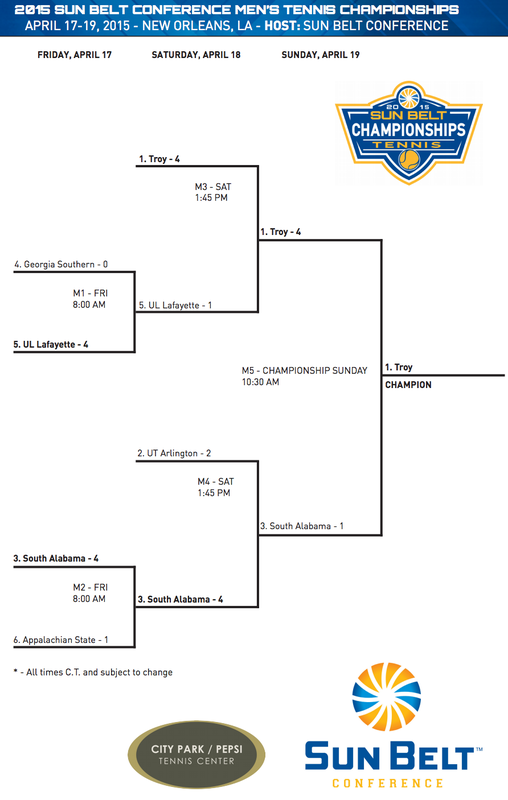 Sunbelt (New Orleans) April 17-19: Louisiana-Lafayette is defending champion. Participants: Troy, Louisiana-Lafayette, Appalachian St, Texas-Arlington, Georgia Southern, Georgia St, South Alabama. 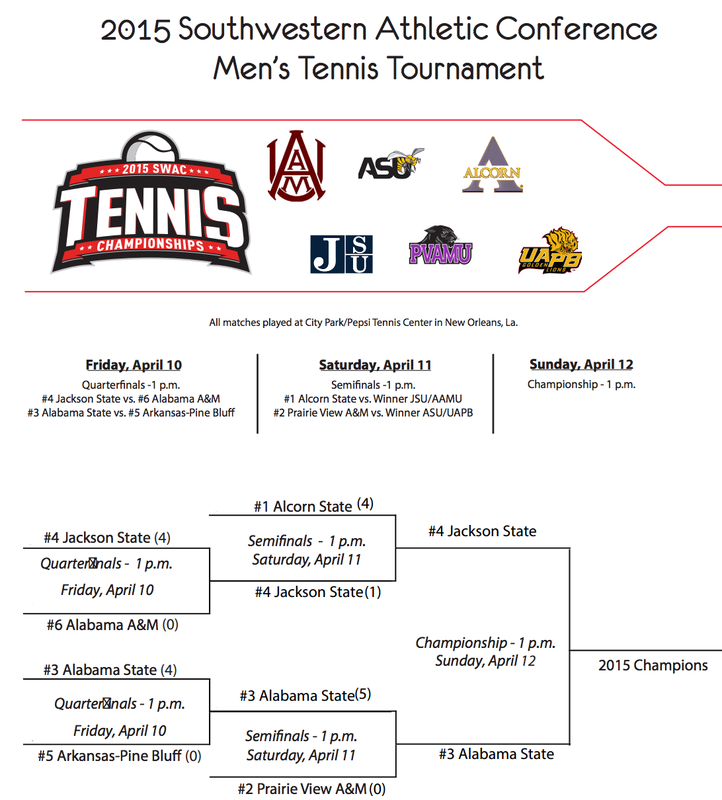 Southwestern Athletic Conference (SWAC) (New Orleans) April 10-12 - Alcorn State is defending champion. Participating at the top 4 of these 6: Alcorn St, Alabama St, Prairie View, Arkansas Pine Bluff, Alabama A&M, Jackson St.